Strawberry Chic: Happy Mother's Day! I hope everyone is having fun celebrating! I woke up this morning to a waffle & egg breakfast, plus a couple of lovely gifts, one being Harry Potter & The Deathly Hallows - Part I! 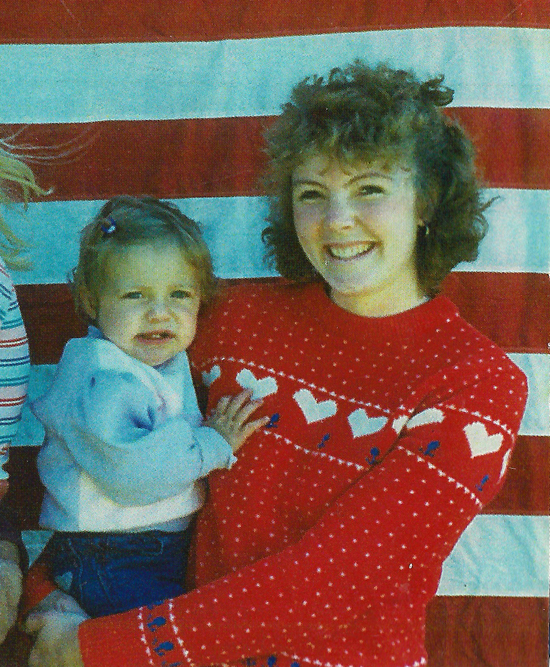 The photo above is my Mom around my age, hold me, isn't her sweater awesome? There aren't many pictures of me as a baby, & none of just me & my Mom (she claims they were too poor to afford to develop film). I actually Photoshoped my older sister out of this picture so I could have one of just me & my mom...sorry Mel! I always thought Nolam looked like Abe but he looks just like YOU as a baby! So cute!